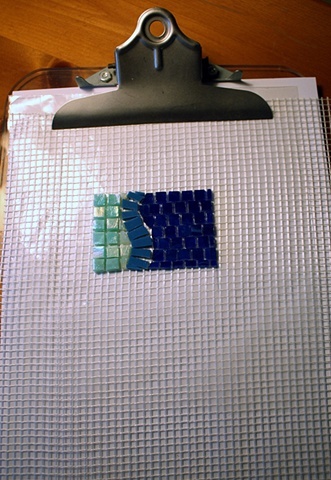 :: Let your mosaic dry completely before removing it from the plastic. *Drying times will vary with the adhesive used...sometimes drastically. Mac Glue and Dap Adhesive Caulk are usually dry in about 6 hours...dependant on temperature and humidity. Weldbond may take a few days.